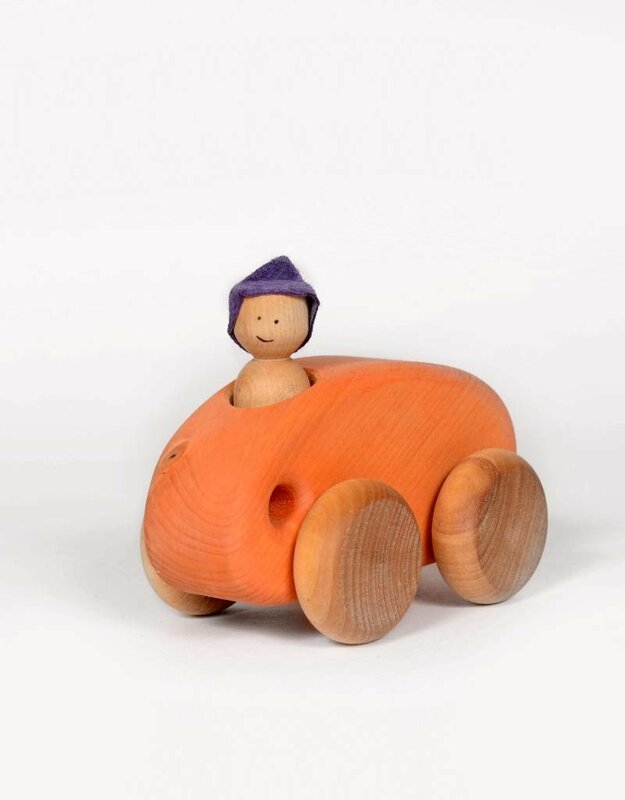 This minimalist little car is perfect for playing in the house. Also great as first toy for your little one! Bright colours and simple shapes work to stimulate little imaginations and encourage all sorts of play options. It carries one little driver, easily removable for more pleasure. Made from local pine and maple wood. Nearly indestructable, this little was thought and conceived to involve the children imagination to play. Sustainable and tough, this car and other vehicles from our collection can complement each other. -Maple wood is used for the wheels. -Finish with an untoxic and natural linen oil. SECURITY : 3 years old and up. It is possible to protect the wood needed with a natural vegetable oil or a natural wax for wood.